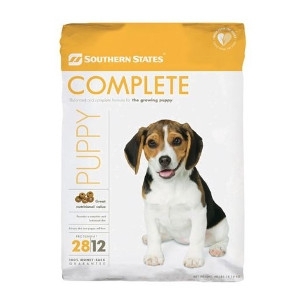 Fortified with the nutrients and vitamins that your pet needs to grow up strong and healthy, Southern States Complete Puppy Food provides for the special needs of puppies during their first year. Contains fresh ingredients and extra protein to help build strong muscles for your active pup. This formula provides great taste and an even better diet for your growing puppy.